You know you're a racer if… Your choice for a wedding band was based on which one was lighter. 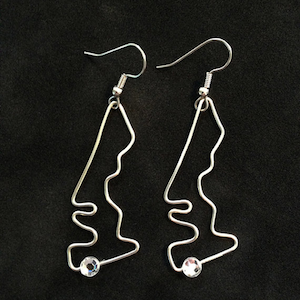 Wire earrings hand bent into the shape of your favorite track. Clear jewel marks the start/finish line. The track dangles approximately 2.5" from the top of the hook. Available in Gold or Silver tone wire. Only ships to United States.